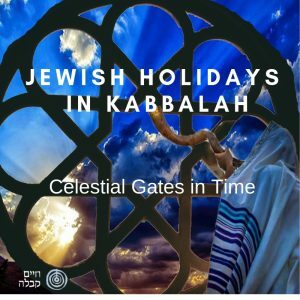 Kabbalistic Holidays are Celestial Gates in Time through which Godly light is presented to us in order to transform our lives and improve them. How do we learn to understand and be present when we arrive to those cosmic gates? How do we get the most out of these special opportunities? Lectures, Presentations, charts and printouts are available for all Jewish holidays and special days. Passover, Shavuot, The Three Weeks and The 9th of Av, The 15th of Av, Rosh Hashanah, Yom Kippur, Sukkot, Simḥat Torah, Ḥanukkah, Tu BiShvat and Purim.